Water damage insurance claims that result from mold, require a detailed scientific investigation and special insurance claim handling. Advocate Claims Public Adjusters are schooled in what is necessary to properly test and document the problem, remediate the toxic (or non-toxic) mold from your home or building, and then repair your home or building! Many times, company adjusters choose to ignore the presence of mold! Mold can often cause many symptoms such as allergies, upper respiratory infections, sinus problems, headaches, rashes or itchy skin. This is a serious problem that requires attention, and must be handled correctly! Mold is a small, microscopic organism that grows and reproduces. As mold grows, it releases “mold spores” that travel through the air we breathe. Mold can grow in your home if there is moisture present. Leaks from pipes, sprinklers, roof leaks, sewer, or shower leaks can cause mold and mildew to spread throughout your home. If mold is left unattended, it can cause thousands of dollars in damage to your home! Many health problems can be attributed to mold spores! Don’t wait if you suspect mold damage, call Advocate Claims Public Adjusters today! 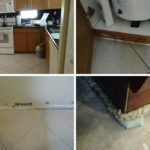 "My insurance company said that mold is not a covered cause of loss, and there is ‘No such thing as a mold claim?’ However, my insurance policy says I have mold coverage, with limits. Please explain this to me." Submitted by K. Moreland, in Palm Beach, Fl. Answer: If the mold damage is the result of a covered problem, such as a broken water pipe, wind damage, or covered water damage, then it can still be a covered damage. 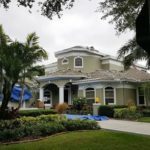 Advocate Claims Public Adjusters has handled numerous mold related claims in Palm Beach County, Delray Beach, Boynton Beach, Boca Raton, West Palm Beach, Ocean Ridge, Lantana, Wellington and more! We know how to manage any water damage or mold claim problem and help you get enough money to properly repair your home or building! to begin or discuss a mold insurance claim!